Dart code runs in a single thread of excution, if it’s blocked the entire program freezes. Since fetchDataFromSomeApi() blocks, the remaining code runs only after fetchDataFromSomeApi() returns with the data, however long that takes. This code runs line by line causing the code to halt and doOtherStuff() to run after the data fetching operation is finished (which is probably not what you want). 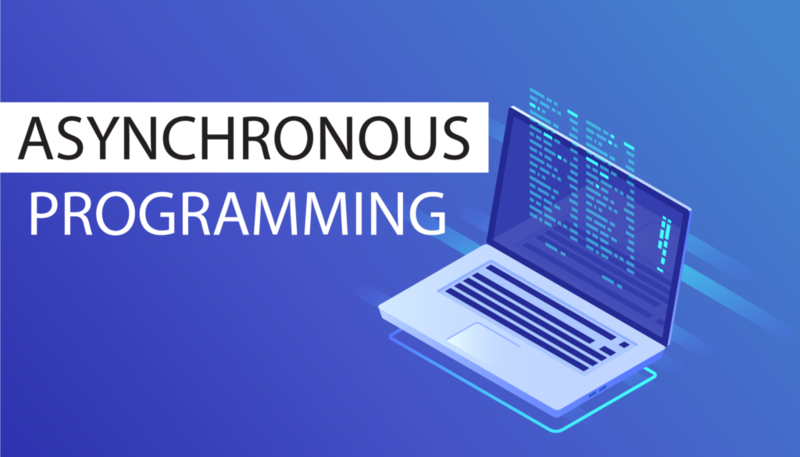 Asynchronous operations lets your program complete other work while waiting for other operation to finish. fetchDataFromSomeApi is non-blocking, meaning it lets other code run while fetching data. Thats why the top level print statement runs before the print statement in the callback function. Future objects (futures) represent the results of asynchronous operations — processing or I/O to be completed later. notice that the future takes the same type of the function _f return type _String. for the purposes of this tutorial we passed a function that just returns a string. This creates a future containing the result of calling f asynchronously with Timer.run. If the result of executing f throws, the returned future is completed with the error. this way the error is handled and the program keeps excuting. Notice that the main function is marked with the async keyword. Any function marked with async is called asynchronously. when we call a future with the await keyword the function excution is halted until the future returns a value or throws an error. If you feel that I have missed something here please let me know, or if you have any question at all you can reach me on twitter.